This year, Turkey is deemed to be the most popular tourist destination for Russian tourists who want the whole package but don't want to travel too far. Compared to the first half of 2017, there is a 50 percent increase in Russian visitors, and booking show most prefer to spend their holidays in the Mediterranean region . 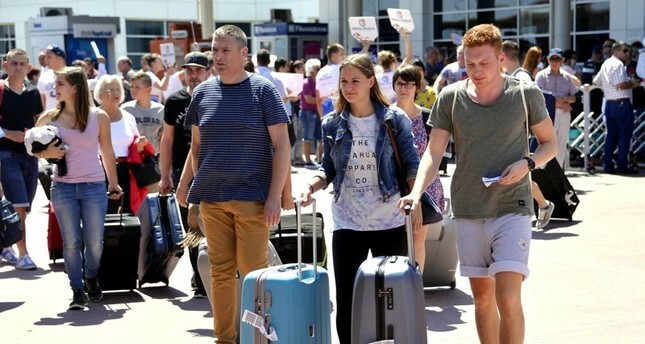 Minister of Culture and Tourism Mehmet Ersoy stated that over six million Russian tourists will be staying in Turkey, setting a new record this year. Turkey's history, culture, beaches, nature and cuisine have also been gaining a lot of traction in Russia's capital Moscow during the ongoing Turkish Festival. Popular tour company Coral Travel's representative Nikita Makarov stated that "Antalya's Belek, Kemer and Side regions are the first choices of Russian tourists," although they also expect interest to peak in other regions of Turkey as well. In addition, Makarov said that Turkish markets are highly advantageous for them and they "expect a significant increase in tourist flow compared to the previous year." Manager of the Yunus Emre Institute in Moscow, Ferhat Tamkoç, mentioned that there has been an increase in interests for Turkish culture and language with many people taking up classes. "Russian citizens are very interested in taking Turkish language classes. We are forming meaningful connections with the people in Moscow," he said. Working in the public relations sector, 26-year-old Anatasiya Naumov stated that Turkey is currently the most popular holiday destination for Russian tourists, and that she will be returning to Turkey shortly after enjoying her recent trip to Kemer and Side.